Fears of Rejection and Abandonment? 09 Apr Fears of Rejection and Abandonment? The first quarter of 2019 has been a powerful but transformational struggle for me processing and overcoming internal fears that I’ve had most of my life. I’ve faced a lot of rejection, over and over again. I keep opening myself up to people, sharing myself, my passion and my energy with complete strangers. Only to have them ghost me and completely disappear. The Origin of my Greatest Fears in Life: My father rejected and abandoned me when I was 13 years old, shortly after my mother passed away from an aneurysm. He kicked me out of the house because I didn’t get along with his new wife and then he gave legal custody of me away to the courts so he didn’t have to pay my living expenses. Even though I was a high school athlete and honour roll student, he saw no value in me as a daughter. I’ve been on my own in the world ever since. For the past 30 years, I’ve suffered very low self-worth and my greatest fears in life have been of rejection and abandonment. These fears have permeated every family, friend and romantic relationship I’ve had my entire life. My fears have caused me to settle for less than I deserved in relationships and tolerate more than I should have to stay with people that did not belong in my life because I was afraid of them walking away from me. My dating life these past few months have been powerful lessons in facing and overcoming my fears which I have learned from greatly, and these experiences have made me strong. Facing my fears, again and again, has made me resilient and powerful because I now know my worth. I know who I am without depending on someone else by my side and I know my value. I know what I bring to the table and realizing my own unlimited potential. I’m ok if someone rejects me now because I realize they are not willing to do their own personal growth to become a person worthy of my love, and I have a lot of pure love to give. The vibes I ride are high and not everyone wants to fly. I’m ok if someone walks away from me now because I know that my future is full of those that want to be in my life, not those that chose to leave. I don’t chase people and I’ll even stop reaching out if I no longer feel a connection. I’ve found confidence and self-worth by being authentic with integrity and grace. I’ve gained so much personal power by being true to myself and not settling for less than I believe I deserve in life. And I deserve all that I desire and dream for my future. Somehow, thru all of these powerful life lessons, I still believe in love and all the good things coming. I remain open-minded, open-hearted and with arms wide open ready for the love of my life to walk around every corner at any moment, in perfect timing. My superpower is the skills I’ve developed to process and overcome my fears in life. My process for overcoming internal and emotional fears is the same process that I have used in my stunt career to overcome physical external fears. Fear is Fear. It’s a feeling and emotion that can be changed. I want to help others overcome the fears that hold them back in life as well. Welcome to my Personal Lifestyle Blog. 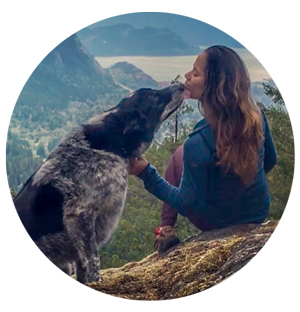 I love to write about my amazing 18-year career as Stuntwoman in TV/Film, my outdoor adventures living in the Sea to Sky Corridor in Beautiful British Columbia and my magnificent and magical manifestations of living a life less ordinary, following my passion and going after my dreams. I value personal growth, authenticity, integrity and compassion. If you resonate with the words I use then you, my friend, are my soul tribe. You are the family I choose, with love!